Owing to our principled business strategies and understanding of this business arena, we are immensely involved in providing Hydraulic Press Work. These services are credited due to their timely execution and cost effectiveness. Moreover, these services are provided beneath the supervision of trained personnel. We offer services for metal straightening of all type of raw material & structural jobs. Being the leading names in the industry, we offer functionally advanced array of Hydraulic Pressing Works that are quality approved and have high strength. Our entire product range is abrasion resistant in nature and is offered in standard technical grades. Moreover, we offer with quality assured services. Being one the most sought after enterprise, we have been indulged in bringing forward for our clients a broad gamut of 500 Ton Hydraulic Pressing Jobwork. 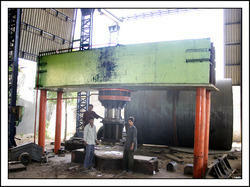 Best quality of Hydraulic Press Job Work is provided by us to customers as per their requirements. 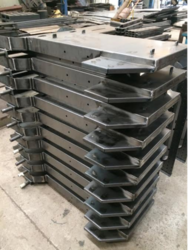 With the support of our highly talented team of professionals, we are ably offering Hydraulic Sheet Metal Die Work. Deep Drawing Hydraulic Job Work, Dimension / Size: 22"